Will Charlton’s old Conservative Club face the bulldozer? 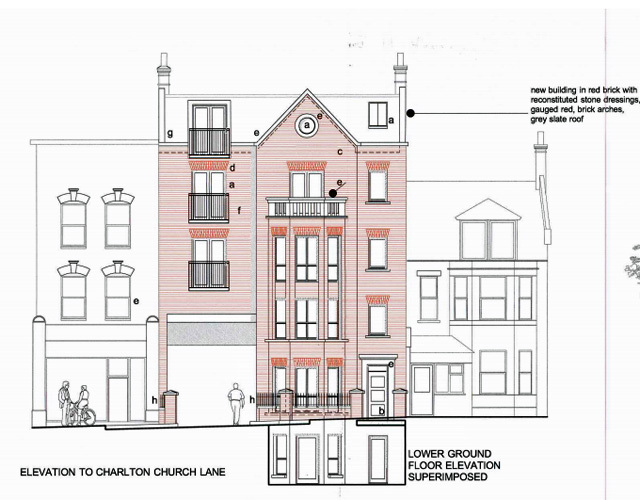 After a recent successful application to reduce the size of Charlton’s Liberal Club and turn the remainder of the site into flats, neighbours have now received notification of a drastic planning application which would see the Charlton Conservative Club, just a few doors away, demolished. The plans, which would see the site flattened and replaced by six three-bedroom social houses and 10 flats for the commercial market, have caused horror amongst some local residents. Not only would an attractive building, which previously provided a social space in the area, be lost, but neighbours feel that the proposed development would completely overshadow existing homes and their gardens. Without doubt the Conservative Club, which closed its doors in August 2013, needs care and attention to bring it back to life in some form but this application is a radical and unwelcome proposal for many local residents. The project appears to be entirely financially motivated and shows little care or consideration for existing residents or the wider community. Details of the plans are available at on Greenwich Council’s planning website, reference 14/0760/F. The proposals show a large block facing Charlton Church Lane with homes squeezed in behind them on what’s now the back yard of the former club. 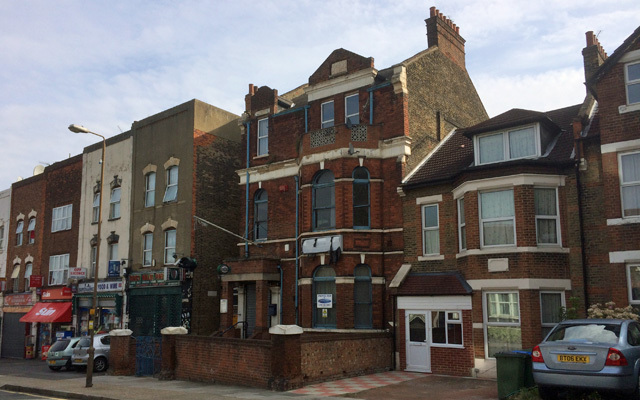 With the Liberal Club downsizing, there’ll soon be a lack of community space on that stretch of Charlton Church Lane – is this plan for the Conservative Club the right one? Previous Article Could Charlton get a ‘green bridge’ over Woolwich Road? So the Conservative Club is to completely disappear? This highlights again why perhaps we (SE7 folks & Charlton Society) should draw up a list of locations for ACV orders. At least that would slow the process, giving more time for community reaction. I would really like to get a group together to put in objections to this demolition. There is a real danger that Charlton could end up looking like parts of Lewisham that have been razed to the ground with none of its original character retained. Its sad to see the building deteriorating and I agree that something needs to be done to secure the site and deal with anti social behaviour taking place in the front garden. This should be an issue for neighbourhood police and a responsibility of the building’s new owners. – is over development of the site; too many units for such a small site. – too tall in relation to adjoining buildings. – lacks any private outside space for the flats at the front of the development. The applicant has submitted a document as part of the appliccation to try to justify the loss of community meeting place. It argues that there are plenty more pubs, meeting halls etc nearby. But we could hold a competition to find all the mistakes and ommissions in that document; its very poorly researched. However I’ve some symapthy with the arguement that there is no shortage of drinking or meeting places locally. The facilities at the Valley have added to local supply in the last 20 years, so perhaps its time to let this building go for another worthwhile use, but not this scheme. If you are opposed to the proposal, the important thing is to voice your objection to the Council before it makes a decision on the planning application; you’ve got a couple of weeks left to do this. Several residents are already working together to oppose the project. Please get in touch at charltonplans@gmail.com. And please do make your comments or objections to the council. What’s the alternative to the proposed plan? The current building is looking sad and tired and so is the other nice Victorian building down the road that used to be a pub (currently boarded up with some metal grills) and favourite gathering place for the ‘Charlton StrongBow can 6x£2 tasting society’. The high street in general looks rough as a badger’s arse; the new proposed building is rather attractive but, I agree, it lacks character. Any reason why they are not refurbishing the current one? You mention the plans make the building taller than the adjacent buildings but the current building is taller than the adjacent buildings so I am not sure why that would be an objection…? Opposing the plans is to suggest something better or just to oppose the plans, to block developers developing? The plans have disappeared from the council website. Let’s hope they’ve been guided that they’re not suitable and need some serious revision!! No formal notification of current status yet. The plans may have disappeared but something else has appeared on site; squatters. Property booms only last for so long.. In a few years time, when property prices crash, and they will…. nobody will want to touch a house like that with a bar pole. I think it is just bonkers to oppose developments for no reason. The high street is looking very run down and, at the moment, there is a lot of unused community space in the area. Hi Spoon Taneous, none of the objections I saw were opposed to re-development- it’s much needed, I agree. People do, however, want that development to be sensitive and fitting. If there are squatters then that’s unfortunate, of course, and is sadly a side effect of developers purchasing properties purely for the purpose of financial gain. Leaving properties empty while waiting on approval for dreadful plans is bound to have a negative effect but is not, in my opinion, a reason to let them ride rough-shod over the local community. Fear of squatters or fear of planners – neither is ideal! P.S. I’ve just been notified that the squatters were evicted by police last night in the presence of the property owners. I think I am missing something here; why would a developer buy a property otherwise? It is the job of the planning department to regulate planning permission, and I think they make a fairly good job. And,of course, it is the job of the residents to make sure our community takes shape in a way we feel conformable with. I don’t like the shape of the old conservative club; it is depressing to look at. At least with squatters someone was benefiting from it, they can be quite cool squaters. I understand change is disruptive but I honestly don’t understand any of the objections raised about its redevelopment and haven’t seen any constructive proposals. New plans have now been submitted after consultation with residents. Were they built to plan they’d be great. However, the current planner isn’t intending to see through the build so I have a suspicion that, if approved, the plans will be rejected as too expensive to deliver by developers and we’ll be back to square one. Thanks for the update Susie.